A special release as part of the celebrations for Toy Soldier Day! Mechanical Audio’s first Ep “Welcome To Our World” brought you hypnotic bass lines and tripping melody’s to a cinematic feel. Brought to you from Robin Tindill and The Operator “F.E.A.R. 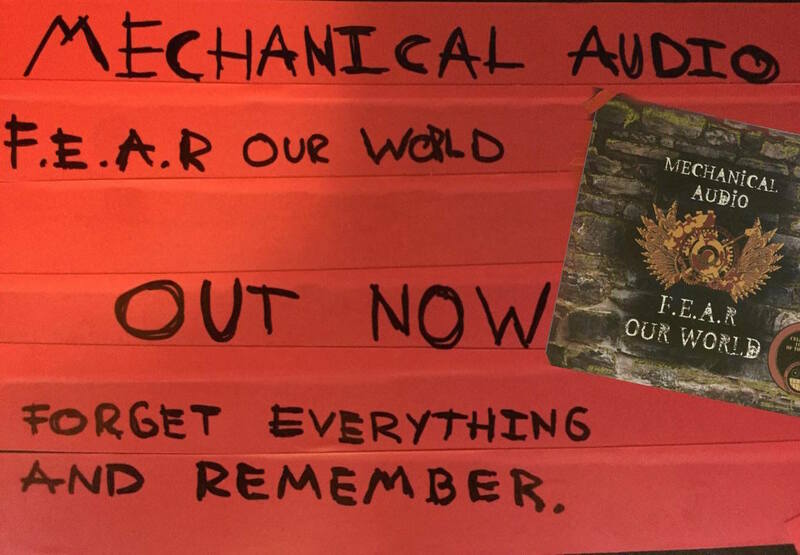 Our World” is the 2nd release from Mechanical Audio and if “Welcome To Our World” was a warm welcome as you slip into your dreams, “F.E.A.R. Our World” is your dreams turning to nightmare. Bass lines that’ll tear through your body and cutting leads accompanied with brutal drums all fused with elements of Industrial, Drum and Bass and Mechanical Audio’s cinematic feel. Additionally along side the Ep is also Mechanical Audio’s live performance inside a derelict building somewhere in the United Kingdom. Forget Everything And Remember Our World… or maybe just F.E.A.R. Our World. Thoroughly enjoyed this. Much darker and grittier than the first EP and all the better for it. Love how this came out! Awesome Job, Robin!